The G20 is evolving into a dynamic institution making complex, yet distinctly valuable, contributions to the burgeoning system of global governance. Two years after the outbreak of the global financial crisis in 2009, the Asan Institute for Policy Studies invited a group of distinguished policymakers and scholars to a conference in Seoul to discuss the politics of the G20. Entitled “Middle Powers and Caucusing in Global Governance: Do Middle Powers Need Their Own Summit?” the conference was an attempt to better understand the internal politics and dynamics of the G20 so as to articulate a path for its future development. 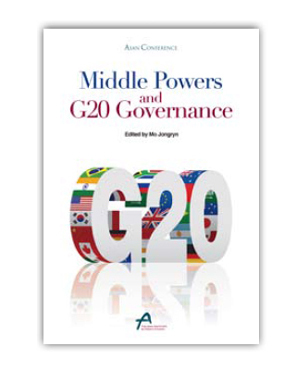 This volume reflects the diverse perspectives presented on each of the major governance groups that contribute directly and indirectly to the G20 political process. It examines how the various groups interact and what the outcomes have been of such interactions. A fresh conceptualization of a G20 system composed of groups of nations that can both balance against, as well as support, one another is presented. Of particular importance is the role of middle-power nations such as South Korea, Canada, and Australia as bridge-builders between the North and the South, the G7/8, and the BRICS. Mo Jongryn is a professor of international political economy at the Graduate School of International Studies at Yonsei University and the director of the Center for Global Governance at the Asan Institute for Policy Studies. 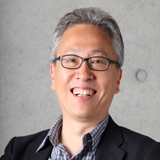 Prior to joining Yonsei, Professor Mo was an assistant professor at the University of Texas at Austin. His areas of specialization are international political economy, East Asian development, political economics, and political bargaining. He received his B.A. in economics from Cornell University, M.S. in social science from the California Institute of Technology, and Ph.D. in political economics from Stanford University. 2.) Pang Zhongying, China and Global Governance: Will China Finally Take the Lead for the New Globally Governable World? 모종린 교수는 아산정책연구원의 객원연구위원이다. 미국 코넬대학 (Cornell University) 경제학과를 졸업하고 캘리포니아 공과대학 (California Institute of Technology)에서 석사학위, 스탠퍼드대학 (Stanford University)에서 정치경제학으로 박사학위를 받았다. 미국 텍사스오스틴 대학 조교수를 역임하고 현재 연세대학교 국제학대학원 교수와 미국 스탠퍼드대학 후버연구소 (Hoover Institution) 연구위원으로 활동하고 있다. 모종린 교수의 연구분야는 협상이론, 한국발전의 정치경제학, 동아시아 국제관계, 글로벌 거버넌스이다.